In my previous post, entitled “I’m not your “fun” friend.” I said the reason I prefer “real” conversation over “surface” conversation is because I have “issues” and that you either get used to me or you avoid me. I’ve been thinking about why I’m so intense about everything. Why do I prefer the deeper conversations? Why am I addicted to learning? What is this freakish obsession I have with setting and moving toward goals? Why does the word “can’t” challenge me to defy it? Why is good enough NOT good enough? Why am I so competitive, even with myself? Why am I so passionate about encouraging other people figure out what they want and GO AFTER IT? Why am I so relentless about being actively engaged in an intimate relationship with God – and inspiring others to do the same? Why am I so intense about LIFE? I’ve always been overly aware of the passing of time. Of missed opportunity. Lost opportunity. 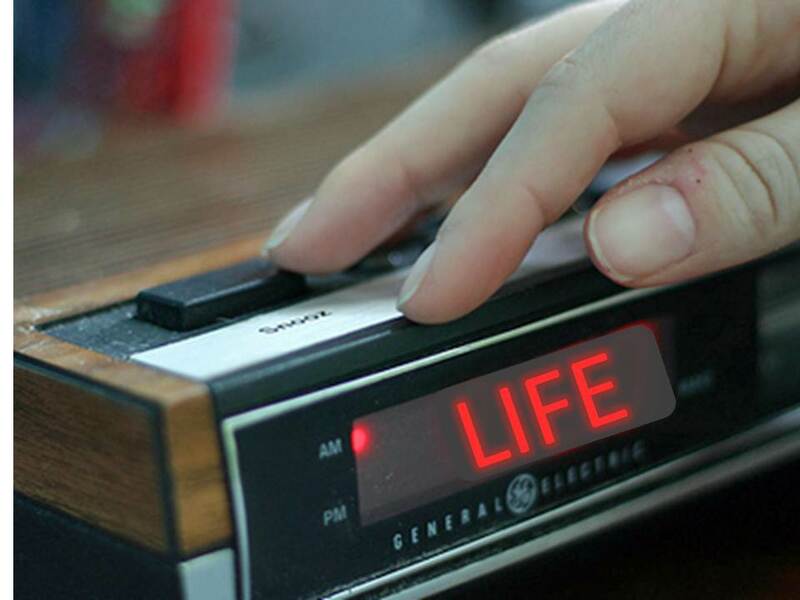 Saturday mornings were the first thing to come to mind. I grew up with a mom who loved to sleep. When I was little, every Saturday was the same. I would wake up early, because, well, I was a little kid. I would crack open my bedroom door and slowly, as quietly as I possibly could, sneak into the kitchen for some cereal. It was slow progress, because the goal was to be completely, totally silent. The goal was to NOT wake up my mother. My dad usually worked on Saturday, and he was out of the house early. My mom’s bedroom door was between my room and the kitchen. The kitchen and her bedroom were connected by a wall. Another bedroom wall – the wall with her bedroom door on it – connected to the living room. Where the TV was. All I wanted to do was get some cereal and watch Saturday morning cartoons. Simple. Kid simple. Sometimes, I pulled it off. Slowly and silently opening the normally squeaky metal bifold door of the pantry, getting the cereal box down, silently opening the cabinet for a bowl. Silently opening the fridge for the milk by prying the rubber seal open with my fingers instead of pulling the door handle which would have resulted in the sound of the vacuum being broken. Pouring the cereal was the tough part. There’s nothing silent about Lucky Charms hitting melmac. Sometimes, that would be my undoing. Other days, I got lucky and made it through. Then came the most difficult part. I’d take my cereal bowl into the living room and sit crisscross applesauce, arm’s length from the TV. 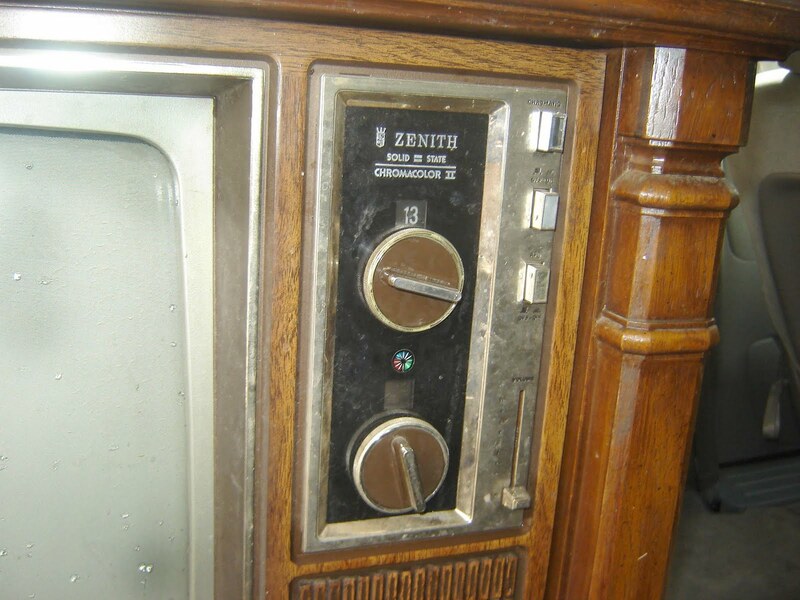 Volume controls were manual dials back then, so I could turn the volume all the way down before I even turned on the TV. Then came another tense moment. Pulling the TV power knob on made a click noise. Then the electronic hum that followed as the TV warmed up. Sometimes that was as far as I got. Other days, I made it through. Then came the channel. The good news was that there were only three to choose from: 2, 6 and 9, so I stood a 33% chance that the channel was already tuned to the show I wanted to watch. Other days, I was paralyzed by the dilemma. Do I watch something I didn’t want to or risk turning the knob? Eventually, I got very good at stealth channel changing: a tight, full-handed grip with a s-l-o-w turn. The worst days were when the channel was on 2. Channel 6 to 9 and 9 to 6 were a breeze. But switch between channels 2 and 9? I’d just watch Heckle and Jeckle. Once I made it to the channel I wanted, there was no sense of relief. The volume was still all the way down. This part was something I couldn’t really control, but I still tried. I would sit, still arm’s length from the TV, and slowly turn up the volume until I could hear it. Watching a show required constant monitoring. Turn the volume up for dialog, down for music and effects. When I did get caught, it was music and effects that got me every time. Sometimes, I got lucky. There was only a voice, calling my name. I would turn the volume all the way down and wait. Silently. Other times, I would turn the TV off and slink to the kitchen with my cereal bowl and silently – always silently – put it in the sink. Or even better, slip back into my bedroom with the bowl and shut the door. That way, if she actually got up and opened her bedroom door to look in the living room, there would be no evidence I was ever there. Unless she walked over and touched the top of the TV. If it was warm, I was discovered. More often than not, she would just look out and then go back to bed. I would wait for a while and start again. For as many times as I made it, there were just as many times as I got caught. The consequences? Get into my mom’s bed with her and stay there until she woke up. Which – on Saturdays, never ever happened before noon. The sun would be streaming through the window and my mom would be asleep next to me. Notice I didn’t say “sound” asleep. The slightest movement on my part would be immediately met with “be still.” In an effort to keep me safe and protected while she slept, she would reach one arm over and gently place her hand on my arm or my leg. The slightest movement on my part would wake her. I literally watched minutes tick by on a clock. Way, way, way too many minutes. How has this manifested itself in me? Literally. I just don’t like it. When I sleep, I feel like I’m missing stuff. Opportunities. Experiences. Life. Sometimes, I think that the only reason I can sleep at night is because there’s nothing else to do. Everybody else is sleeping, so I might as well get it over with. I don’t often nap. I have to be non-functionally exhausted or sick to intentionally take a nap. I think this sense of missing out on life is one reason I’m so focused on “real” conversation with people. Why I can’t take too much “surface” talk before I start asking people questions about themselves. Why I crave conversations that make me think, that open my mind to perspectives other than my own. It’s why I don’t “do nothing” well. I’ve done enough “nothing” to last me the rest of my life. ← a perfectly good cup of coffee, wasted. Oh my word, Julie. Thank you for sharing this–it couldn’t have been easy. Poor little kid! What some of us took for granted, you worked very hard at. Debbie – (grin) Actually, they never have – UNTIL my son became a teenager. But I understand that’s pretty typical. He does get up before dark on any Saturday he gets a chance to go fishing with his dad. PinkGirl and I are out of the house nearly every Saturday before 9am. Julie, please don’t EVER hesitate to share your thoughts, your history, and your life! God has given you a wonderful gift for writing and sharing and as you know you never know who you will be helping or who God will lead through your words! Thank you so much for putting yourself out there! !